Marziyeh and Jafari make up two of the eponymous three faces; the third, retired actress Shahrzad, whose portrayal here shows an isolated woman left only with her art, exists in this film almost entirely off-screen. All three women are of different generations but their treatment by society remains the same: ignored or patronised by men, refused opportunities which don’t include marriage or motherhood, or doomed to anonymity in contrast to their male contemporaries’ fates. Jafar Panahi’s performance in this film is a passive one, his role is to quite literally drive Behnaz Jafari and the story of the film’s three women. The film’s central narrative tension, of finding a girl who has seemingly taken her own life after being denied a future of making films by her family, was inspired by a true story. Clearly Panahi saw comparisons with his own experiences of cinematic suppression and his interpretation here is a sympathetic one, albeit with a somewhat self-aggrandising edge by conflating his situation with the position of women in Iran. To the director’s credit, his performance behind the camera is exceptional, and given his limitations he creates some very impressive shots. There’s one such moment near the end of the film, where the camera settles on the exterior of Shahrzad’s home; as evening becomes night, the silhouette of a woman becomes two, then three. It’s a beautiful moment as the three shadows separate and then dance together, and it’s testament to a great director who can achieve something so visually remarkable with so little at his disposal. Away from the central story, Panahi’s main focus appears to be the road ahead of his and Behnaz Jafari’s characters for the majority of 3 Faces’ journey. The road is long and narrow, and the metaphor is loud and clear here: this is the path for Panahi’s country and his culture. As the film progresses, there are rules and traditions imposed on the road, without which “everything falls apart” according to one male villager. 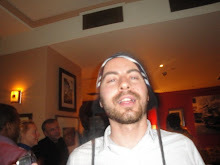 What’s more, nobody - least of all a woman - dare widen the path. Jafari’s attempt to dig out a broader road is met with condescension; one man tells her the tools she’s using to improve conditions “aren’t meant for a woman”, a statement which is certainly wanting for subtlety. 3 Faces is defined both by the actions of its women, and the reactions of its men. Jafar Panahi’s most significant input, both in front of and behind the camera, is to take a step back and allow his female cast to take the lead, and show without too much grandstanding how the men in society respond to any challenge to tradition: whether it’s a woman digging up a road or staring bemusedly at the apparent sanctity of burying a boy’s foreskin after circumcision (a ceremony supposedly intended to determine a man’s path in life). Panahi sees that something has got to give in how Iranian society regards girls and women, and while those who object are clearly not afraid to cast stones, the film closes on a somewhat optimistic tone. By the end, the three faces find their voices, and maybe even the chance to walk the long road on their own terms. That the film exists at all is a tribute to the determination of a filmmaker who continues to create astonishing pieces of cinema when his wings are all but clipped. 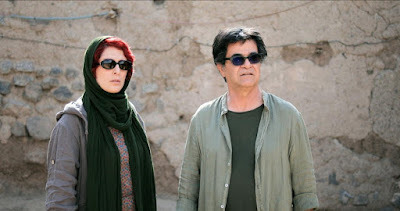 Jafar Panahi’s achievements with 3 Faces, capped by the stellar performances from Jafari and Marziyeh Rezaei, make the film an absolutely vital watch; it’s a film that cements the Iranian’s place as one of this century’s great filmmakers.